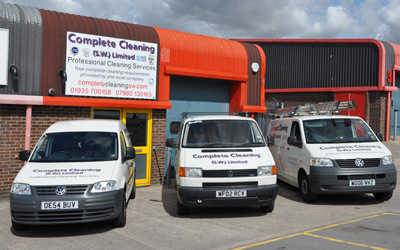 Complete Cleaning (Southern) Ltd is based in the south-west of the UK and started trading in December 2000. We have been going from strength to strength ever since. We know the importance of customer satisfaction and listening to our clients' needs is a priority. Our services are tailor-made — with free quotations upon request — ensuring that all your requirements are catered for by one company. All our staff are uniformed and fully insured. We have a code of practice that insists on strict CRB checks prior to their employment with us. Full training is provided for all our operatives, making a happy and professional team who pride themselves on job satisfaction. We are a family-run business with an experienced and dedicated management team, headed by Simon Reeves, who plays an active part in its everyday running. All our staff have up-to-date training and frequently attend health and safety courses. Please click on the links above for more information. If you would like a free quotation, please see our contact page. 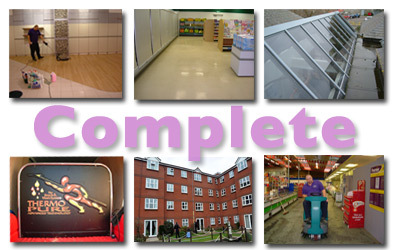 Complete Cleaning (Southern) Ltd is accredited by the above organisations.